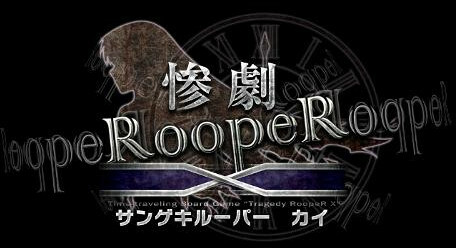 These will be tutorial games, therefore I am assuming that you have never played Tragedy Looper before or, at the very least, you have not played the specific scripts I am running. While a single Tragedy Looper game only has slots for three players, if I get enough interest I am willing to run more than one game at a time. Alternatively, a larger group (say 5 or 6) can work together and decide as a group what actions the three Protagonists take. I will be the game's Mastermind. I am available to run games almost any day/time, provided there is a group of three willing and available. Please let me know if you have any questions via PM or by posting below. Last edited by Trine; May 6th, 2017 at 09:51 PM. Welcome to the game. Please let me know if you have any questions. I love your Steins Gate avatar btw. Welcome. With Mesk that makes three. I know I said a week but if you guys want to start things off tomorrow or Saturday I'm more than happy to do so. Us 3 are usually around. Prob need to rely on how busy @Iced_Monopoly is. Last edited by Trine; March 17th, 2017 at 10:39 AM. here we go 3rd sign. With Voss that makes enough for a second game. @SuperJack @Gyrlander and @Voss , I will be sending you a PM shortly once the game is posted. FYI I'll need to start this before April or else I'll have to unsign. I've been following both games that are going on and holy crap is it cool! /sign me up! I'm also /signing for game 3. Whad, do you use skype? No. Will I need it for this game?